Building a PPC business from scratch is hard work. There are many demands on your time, so managing your time effectively is key to success. Successful people tend to use their time more effectively than others. They are not gifted, and there is no mystery to how they do it, they just tend to organize themselves in a deliberate, calculated manner. Time management skills can be learned and copied. I’ve just finished a good little book on time management called “Eat That Frog” by Brian Tracy. To those who have read time management books, the content will be familiar, but if you haven’t given much thought to how you manage and plan your time, then it’s a good place to start. Seven Habits Of Highly Effective People is another good read on this topic. “Eat That Frog” does become a little repetitious in places, so I’ll summarize the main points. If you feel that you waste time, or could create more value by planning your day better, give these methods a try. What is the one task you do today that is the most valuable? We all have multiple demands on out time. Tasks build up constantly, and there isn’t enough time to do them all. Decide which tasks are the most important – in terms of adding the most value, or have severe consequence if they are not done – and do those tasks first. We procrastinate longest on such tasks, so it’s a good idea to take action on them as soon as possible. Leave the low-value, easy asks until after you’ve finished the high value tasks. Sounds obvious, right. However, a lot of people “make busy”. They work for eight-ten hours a day, but only have a vague idea of where they’re heading in terms of their overall goal. A long time perspective is important. If you set long terms goals, it makes it easier to make short term decisions. Each short term decision should take you one step close to the long term goal. Set goals for the day. The week. For the year. Make a list of all the tasks you need to achieve your goal, and prioritize them. More on prioritization in step 7. A day can be planned in ten minutes. Without such planning, you can waste hours procrastinating or completing low-value or irrelevant tasks, so taking a few minutes to plan your day is time well spent. It is important to write your plan down, as writing a list makes tasks more concrete in your mind. It is very difficult to keep a long list of tasks in your head. So work from a list. Each task that comes up, add it to the list. Make the list the night before, so you mind can get to work on it while you sleep. Plan your coming week at the end of the each week. Also do it at the end of each month. Tick off the items on the list as you go. Steady, visible progress helps propels you forward. 20% of your tasks will account for the 80% of your value. One task you do could be more valuable than all other tasks combined. Do you know what that task is? You can probably identify it without having to think about it. What are the consequences of not completing a task? The tasks with the highest consequences of not completing them are probably the most important in terms of providing value. Everyone procrastinates. So allow yourself to procrastinate on the small, unimportant tasks, after you’ve completed your important high value tasks. Write your tasks down and categorize them A, B, C, D and E.
A is high value task. A high value task has serious consequences if it is not done. If you have multiple A tasks, mark them a1, a2, a3 etc. B task is a task you should do, but it’s not critical. Answering an email, etc. Don’t start a B task while there is an A task pending completion. D task is something you can delegate to someone else. Do so. E task is something you can eliminate altogether, because it makes no difference. You may be doing this task out of habit. After you’ve applied this method, your list will be up to date, prioritized and clear. There is no-one who does things quite the way you do. There are things that you can do that are unique, and you can make yourself very valuable by focusing on those unique skills that create the most value. What are your strengths? 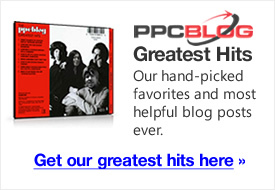 You might be great at sales, or management, or fine tuning PPC campaigns. Make a list of your skills and grade them, strongest to weakest. Decide which skill, if you did it to an excellent standard, would create the most value? Focus on improving those skills. This point seemed rather arbitrary, but it does have the ring of truth about it. There are most likely three key tasks that present the most value. Everything else can likely be delegated, outsourced, re-scheduled or eliminated. A chef who has everything placed neatly in front of her doesn’t need to go riffling through cupboards for ingredients. Doing so would affect her productivity. Chefs are encouraged to keep their working tables clear, and good chefs are constantly cleaning and tidying. Make sure you have a clear workspace, conducive to work, with everything you need right in front of you. A jo2urney of a thousand miles begins with one step. Break large tasks down into single actions. Then do each action. Identify the key constraints that prevent you completing your task. What holds you back from achieving the most value? What are the limiting factors? Dedicate your energy to overcoming those constraints. A constraint might be a person, procedural, of financial. If you had to leave tomorrow for a month, unexpectedly, what task would you do? Set deadlines for all your tasks and race against the clock. Make it a game. Resolve to beat your own deadlines. Develop a sense of steady urgency. Twitter. Email. Text messages. Blogging. Facebook. Make a time for them, and ignore them for the rest of the day, until your value producing tasks are finished. Set aside a specific time to do a certain task. Set aside segments to do certain tasks in pre-prepared time slots. Get a planner, like Calender software, where you can see each hour. Slot something from your list into each time slot. Focus on single handling. If you pick up a task, do it to completion. We can waste a lot of time flipping between tasks as we have to figure out where we left off. This is such a outstanding resource that you just are offering and you also give it away for absolutely free. I take pleasure in seeing sites that recognize the value of giving a prime resource for cost-free. I really loved reading your post. Thanks!